It’s a Homecoming tradition: Staking out the best spots from which to view the parade. We sent one of our interns out to get the stories behind the placesitters. 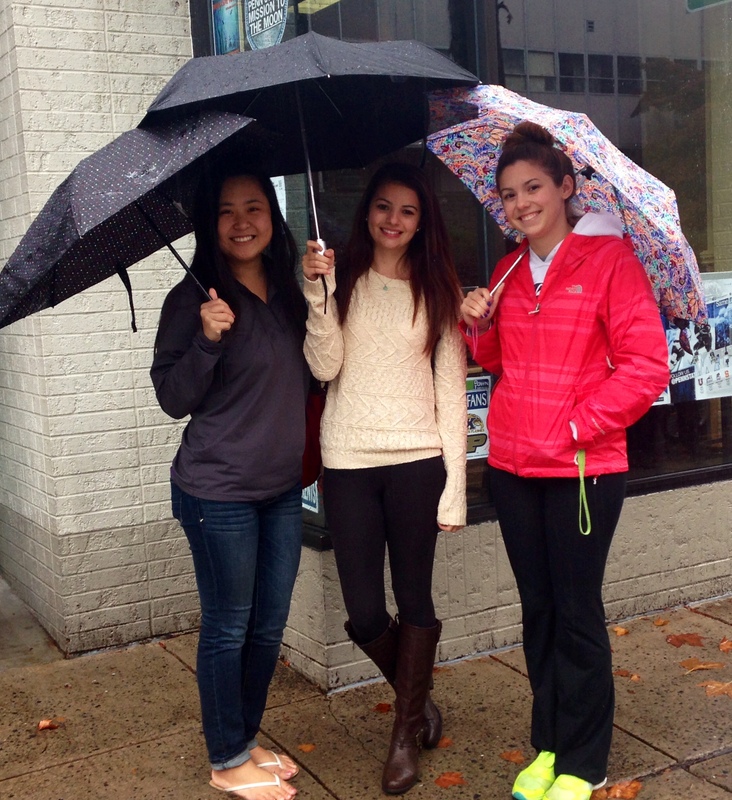 Sarah Seiler (left) and members from Phi Mu hold a spot for their sorority on West College. Name: Sarah Seiler, freshman from Phi Mu. Shift: 10 a.m. to noon (and she’ll be back at 5 for the parade). Location: West College, in front of Sovereign Bank. Passing the time: “I Spy,” eating, and studying, as long as it stops raining so her books don’t get wet. Members of Phi Mu Alpha hold a place for their fraternity on Friday morning; they’ll be gone come parade time, though, because most of them are in the Blue Band. Name: Jimmy Ryan, sophomore from a business fraternity. Shift: 7:30 to 10:30 a.m. Location: West College, in front of Café 210 West. Passing the time: Talking, bonding. 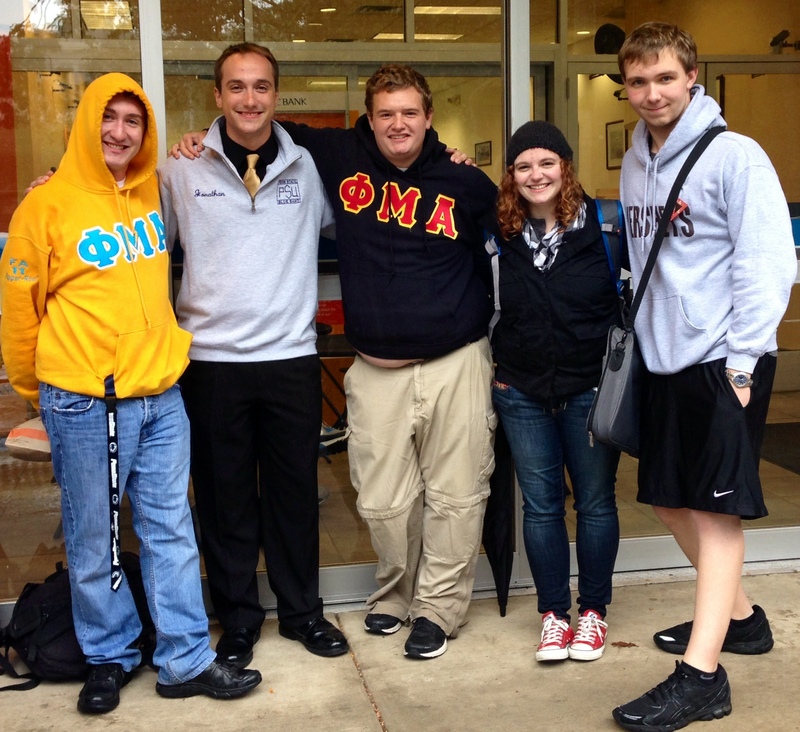 Members of Phi Beta Lambda hold their umbrellas up and try to stay dry while holding a prime spot for the parade. Shift: 10 a.m. to 6 p.m. Location: West College, in front of Qdoba Mexican Grill. 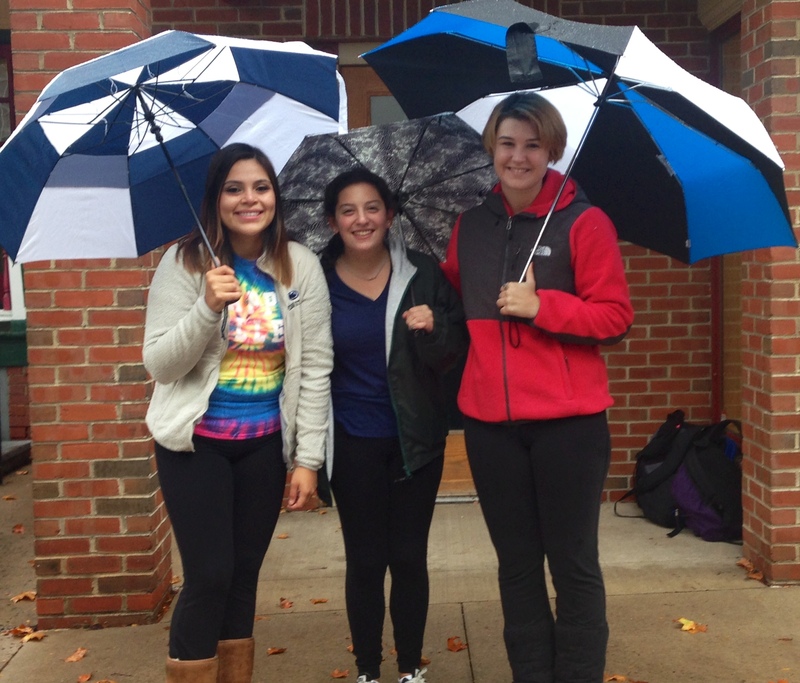 Passing the time: Trying to stay dry, talking, embracing the weather. Float theme: The Great Gatsby. Entry filed under: The Penn Stater Magazine, University Park.